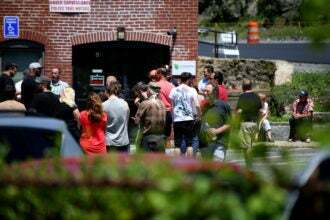 When will recreational marijuana dispensaries open in Massachusetts? The official "starting point" is fast approaching, but that's no guarantee shops will be open. Massachusetts voted to legalize recreational marijuana more than a year and a half ago, but there still isn’t anywhere residents can legally buy it. When are dispensaries able to open? That’s the earliest possible date that licensed dispensaries can begin selling recreational marijuana, according to state law. The Cannabis Control Commission, which is the state agency in charge of rolling out and regulating the new industry, began accepting license applications in April and could begin granting licenses as of June 1. So pot shops will be open July 1, right? Commission chairman Steve Hoffman was asked last week if July 1 could be the first day of recreational marijuana sales. “It could be,” he responded. But all indicators are signaling otherwise. According to public documents posted Thursday, the commission has received 18 completed retail applications from dispensaries hoping to sell recreational marijuana. However it hasn’t approved any of those applications yet. The commission issued its first cultivation license Thursday to Sira Naturals, which currently has three medical dispensaries in the state, for its growing facility in Milford. The license is subject to a number of conditions, including additional paperwork and facility inspections, which are reportedly expected to take “several weeks” to fulfill. Additionally, without any licensed non-medical pot shops in the state, there’s no way for Sira’s recreational crop to hit the market, so consumers won’t see any difference until licenses are granted to retail businesses. What’s with the hold up? The commission has 90 days to review license applications, which involves conducting background checks and making sure businesses have accurately completed the multi-step process. Hoffman told reporters last week that they’re taking the time “to do this right” and make sure things go smoothly for customers and retailers when the first shops do open their doors — even if not on July 1. The commission is reportedly still waiting on background checks and other information from applicants. Aspiring entrepreneurs are also struggling to navigate the local politics of legal weed, in which widespread town-wide bans and strict zoning regulation have limited the options for where they can locate their businesses. How long will it take for more stores to open? And where? It depends on what you mean by “more” stores. In addition to the 18 completed recreational dispensary applications, the commission said Thursday that 20 other applicants had submitted at least one of the packets required for a license. More than 1,500 applications — for everything from retail shops to cultivation to marijuana-infused product manufacturing — have been started, according to the commission. Hoffman has said he expects the market to be “sparse” following the July 1 “starting point” and that the industry won’t fully be up and running for another six to 12 months. Some areas, like Cape Cod, may not have a single recreational dispensary for months. By far the area with the most completed license applications is Worcester County. It also takes several months to grow a marijuana plant. So when the first licenses are approved, the only stores expected to have a ready supply are the state’s medical marijuana companies that obtain recreational licenses. The CCC gave medical marijuana companies and social equity applicants the first opportunity to apply for recreational licenses in April. However, not all of the state’s 31 registered medical dispensaries, which already serve more than 50,000 active patients, are planning to enter the market.